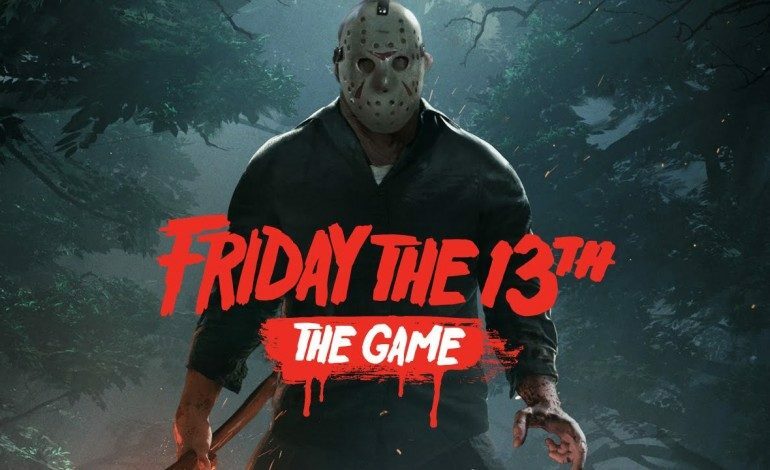 Friday the 13th, the most recent video game based on the popular horror film franchise, from developer IllFonic will be receiving a major update over the next few days. The game was originally funded on Kickstarter, where developers promised an online multiplayer camp experience. Players were randomly assigned to play as either a camp counselor, hoping to escape Jason’s wrath or as Jason himself, who’s only goal was to hunt down all the camp counselors and murder them in a variety of brutal ways. Since that launch, despite a lot of excitement initially surrounding the game, reviews and responses from fans were mixed. The game was plagued by bugs and server issues, and some reviewers and players noted an imbalance in the gameplay. It was the most fun to play as Jason, but thanks to the random assignment, you only got to be Jason a fraction of the time. Now IllFonic is massively changing the game by adding an offline mode, where players can choose a team of counselors and then hunt them down as Jason. This new mode introduces a host of new options for players. There are three difficulty settings, and you decide how many counselors (from 1-7) that you are willing to face off against. Increasing the difficulty makes the bots smarter and harder to take down. According to the developer update upping the difficulty will affect a variety of behaviors for the bots. Higher difficulties mean bots that are quicker to react to your presence, more likely to remember your location, and more likely to fight back. They will utilize every tool and attempt any of the possible escape plans so sharpen your machete and get ready for a challenge. This announcement came with news that the level cap will be increased from 101 to 150. New items to unlock will also become available. Counselors can look forward to new clothing options for a few of the characters and Jason can look forward to a few new ways to kill the counselors and some new blood splattered looks himself. Now if this was starting to feel more like Halloween than the winter holiday season, don’t worry – there’s even a few holiday events coming up for the game. From December 18th through December 23rd, developers are upping player’s chances for rolling Rare or Epic perks, special abilities to help players in game. From December 23rd to December 27th your chances of finding Pamela and Jarvis tapes, notoriously elusive special collectibles, will be increased as well. And from December 23rd through January 2nd players can look forward to earning double Customization Points for everything except leveling up. Customization Points or CP function as the in game currency. The update will roll out over slowly, first for PS4, then for PC (which ran into some technical issues while trying to launch today) and then will finally make its way to Xbox One. The exact timeline is unknown.